The latest rounds that Algerian diplomacy has ineffectively shot against Morocco since early 2015 placed Algerian Foreign Minister, Ramtane Lamamra on an ejection seat. The Vice-Minister of Defense and Chief of Staff of the Algerian Army, Lieutenant general Ahmed Gaïd Salah has attended the meeting. The meeting, held behind closed doors at the Presidential Palace, focused on the latest setbacks of Algerian diplomacy in the Western Sahara dossier that the Algerian government considers as one of the top priorities of its regional and international geostrategic policy. According to the same source, the three strong men have reportedly agreed to replace the soonest possible Ramtane Lamamra that they blame for “serious mismanagement” of the Western Sahara dossier, especially after the two visits the UN Secretary General’s personal Envoy, Christopher Ross, paid to Algiers and to the Tindouf camps in February and March. For the Algerian President and his officials, the current Foreign Minister has failed, despite the large human and financial resources put at his disposal, to manage the file at the level of the European Union, where the European Anti-Fraud Office (OLAF) published a damning report for Algeria and the Polisario Front. They also blame Lamamra for having misused the African Union trump at the UN and having triggered tension with Mauritania, a strategic ally, by an excessive response to a minor incident that should have been nipped in the bud. The same source says the Foreign Minister is not the sole official who risks to be ousted any time. 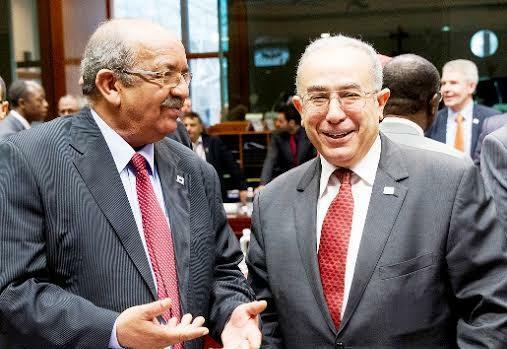 Minister of Maghreb and African Affairs, Abdelkader Messahel, is also targeted as he is equally held responsible for the mismanagement of the Western Sahara file. 2015 promises to be a black year for Algerian rulers in their open diplomatic battle against neighboring Morocco, a battle that they can no longer claim is not theirs but the Polisario’s.